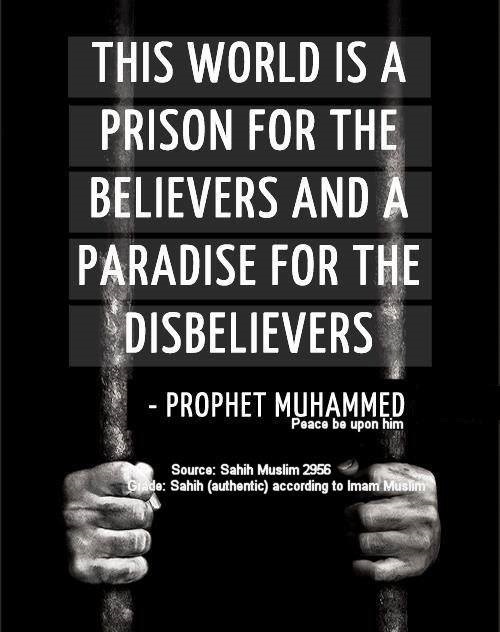 This world is indeed a prison because it is a period of test for the believers. Jannah is the rewarding result.The door we all want to unlock to go in is indeed the door of Jannah ul Firdaus. Grade: Sahih (authentic) according to Imam Muslim. This world is like a prison for the believer, meaning that the way a prisoner isn’t free and is bound by rules, the affair of a believer is the same, this world is not one of freedom for them but one of rules and obligations towards Allah. The believer at all times keeps these rules and obligations in front of him. 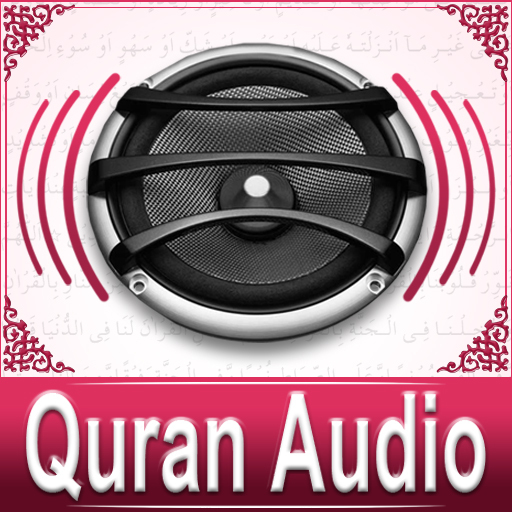 Allah says: “Let not then this present life deceive you” (Quran, Surah Fatir: 5). Shariah is the islamic law Allah wants us to follow, this is how Allah test our faith. Islam governs our lives, and we are happy for it to do so. As, if our lives were left within our own hearts desires we would truly be lost. Let’s us be happy to live according to Islam. The way a prisoner doesn’t make his home the prison the believer is the same, where by he never sees this world as his home, but as a temporary dwelling full of trials until he reaches his final home of Jannah. When a believer dies and departs from this world, he feels himself like a prisoner who was released to go freely on the spacious earth. For a disbeliever the matter is on the complete other end of the scale, he sees the life of this world as jannah and does whatever his heart desires. He sees this world as his final home and acts accordingly to it, he pays no heed to the warnings that are given to him and does not submit to the will and obligations of Allah. He sees this world as his for the taking and makes it his goal to acquire as much as he can and to derive pleasure from it, due to this he sees this world as a place of reward and becomes blind to the reality of its evil and hereafter. Allah chooses Islam for us as a better way of live, learn to be happy within the limit told by Allah. This world is not permanent, it is here we try to strive for Jannah. Oh Lord! Grant us good in this world and good in the hereafter and save us from the punishment of the hell fire. Do not be upset if this world is prison, strive for the hereafter. May Allah give you all the courage to strive for Jannah. In shaa Allah we shall meet there. Next: Can I pay up these bills ?